Meg joins River Alliance after a summer of environmental research with the NASA DEVELOP Program at the NASA Langley Research Center. She is a recent graduate of the University of Wisconsin–Madison with a Bachelor of Arts in Geography and Environmental Studies. Meg is excited to bring her experience in science communication and love of maps to River Alliance. 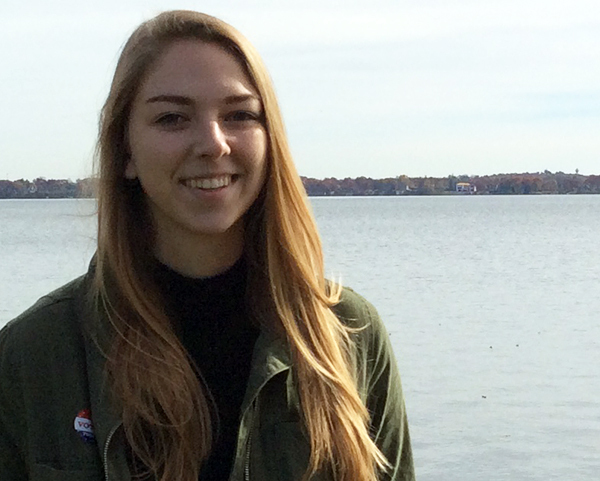 In addition to engaging people in environmental and water issues in Wisconsin, Meg is also passionate about public transportation, crossword puzzles and cheese.